Greetings and Welcome to all Souls! How are you experiencing living in this unprecedented time? The quest is the most ancient of rituals of the soul´s evolution; it is the demarcation from the mundane. The elevated frequency of this crystal mountain makes this a sacred power spot for the New Earth and Humanity´s ascension. This is quite inviting for 2018 as the numerological break down of this year (2+1+8=11). Our intention for this visionary retreat is to facilitate each person on their individual quest to connect to the sacred heart within all. 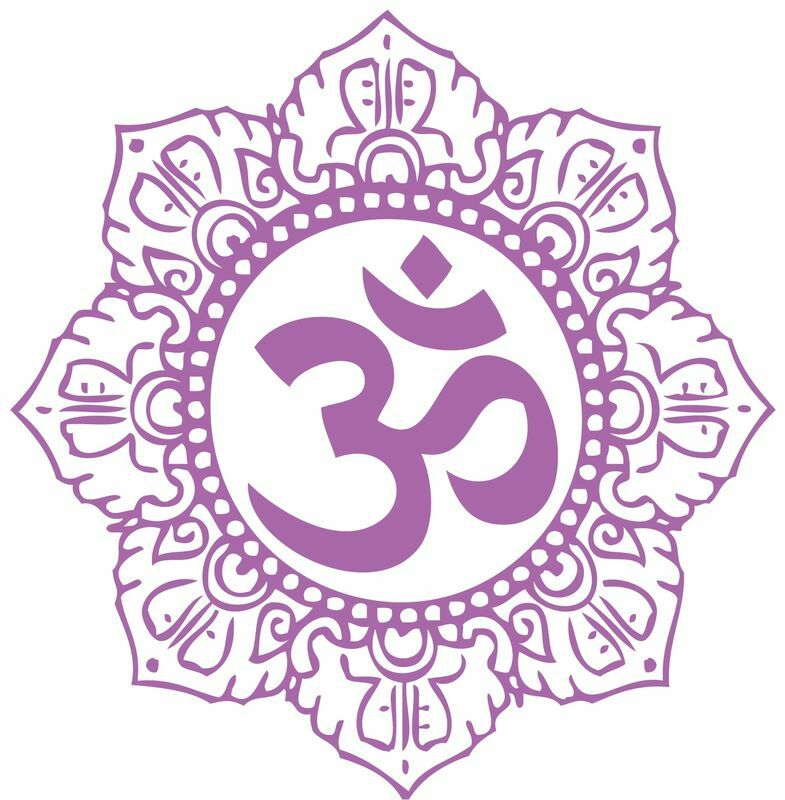 We will connect to special sites, create sacred ceremonies, tonal activations, visionary journeys, intuitive guidance, and more to align with Great Mystery and Great Spirit. In this way, the portals may open to connect to the faery kingdom, devas, middle earth, and the sacred triangle of Ascended Masters, Ascended Natives, and Ascended Star Nations as well as personal guides. 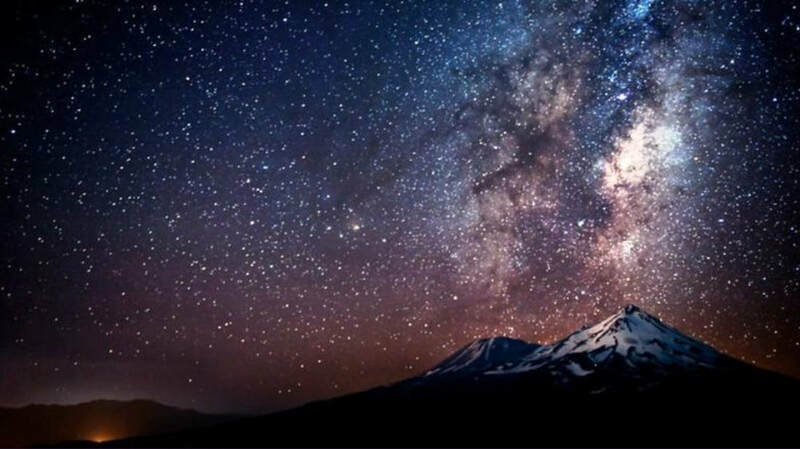 We invite you to journey well into the sacredness, clarity and mysteries of Mount Shasta. 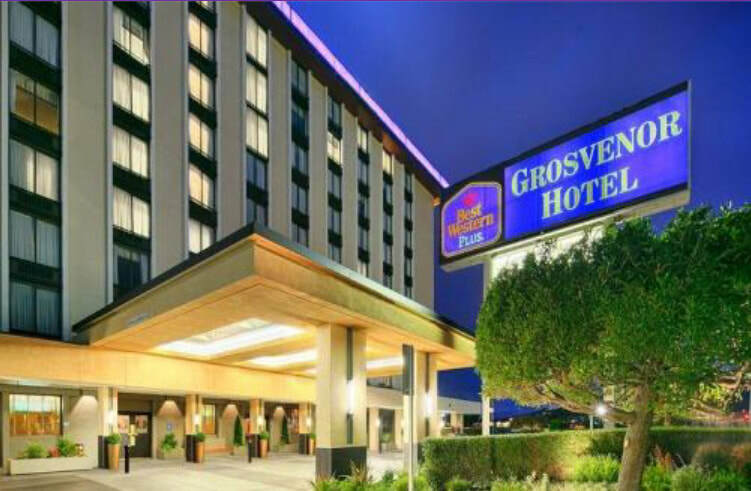 We will meet at Best Western Grosvenor Hotel, a comfortable hotel twenty minutes from the airport. There are public shuttles from the airport to the hotel. 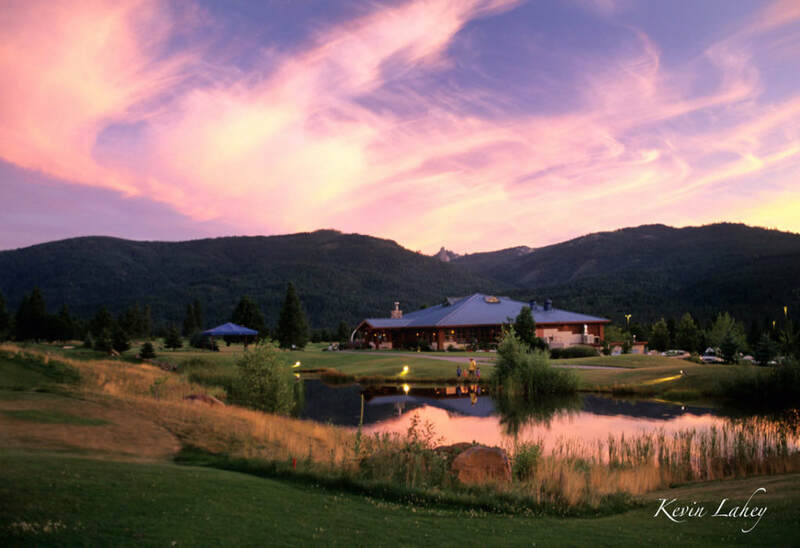 In the morning, after our scenic drive we will arrive at the beautiful Mount Shasta Resort which will be our home during our visionary retreat. At sunset we will open our first circle in front of Siskiyou Lake. In the evening, we will journey to Panther Meadows to create an alignment for this eclipse. Panther Meadows is a dynamic portal of the mountain, and a direct connection to Telos. Telos is a city of light, a portal of multiple levels within the mountain. The people who inhabit this Light City are multi-dimensional beings called Telosians who are humanoid in appearance. They are very wise teachers and benevolent to humanity. Telosians are willing and able to assist the New Earth and humanity´s evolution. The vortex of Telos and its inhabitants are of 5D and higher in their frequency. They value beauty, integrity, love, appreciation, respect for nature, and all beings. Further, their wisdom of crystals is ancient. They are keepers of crystal grids brought to this powerful vortex space from the gates of Atlantis and Lemuria before the Fall. Telos is one group of many residing in the Middle Earth often called Agartha. This August Solar Eclipse/New Moon cosmic event of 2018 is a gateway for ascension. 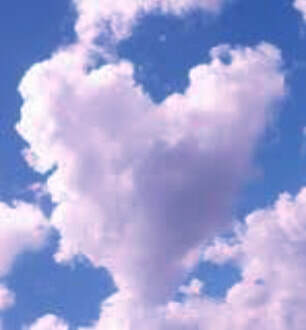 We will set our intentions in sacred and prayerful ways “to be the change” of highest and most benevolent good for all. 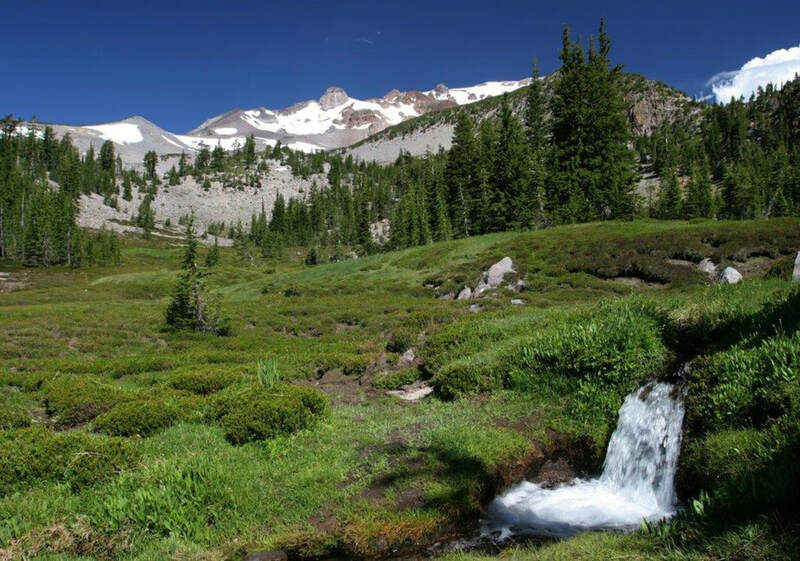 In the morning we will enjoy a special ceremony with the source waters from Mount Shasta. We will drink deeply from these healing waters and fill our jugs with blessings. We will open a circle, to raise and balance our energy levels with Qigong, breathing, yoga stretching, and sharing. Later, we will visit lovely shasta village and have free time. Amongst the great trees, we will bathe in the crystal bowl tonal frequencies in sacred ceremony. 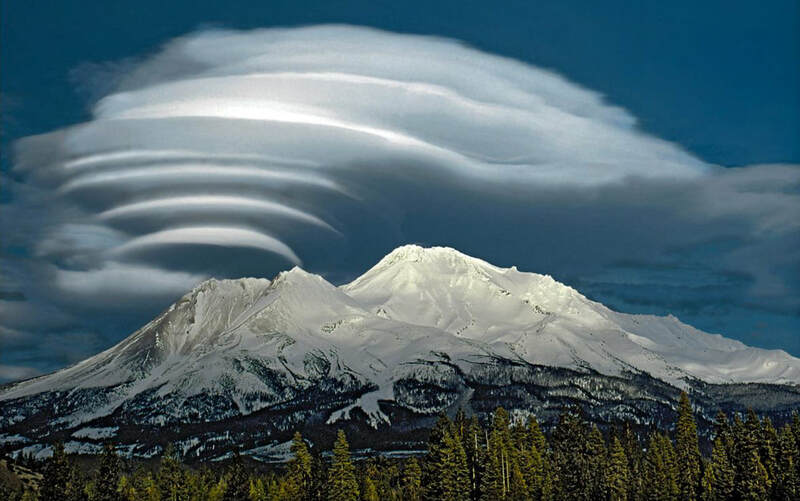 Afterwards, we will meditate at the Mount Shasta Pyramid. 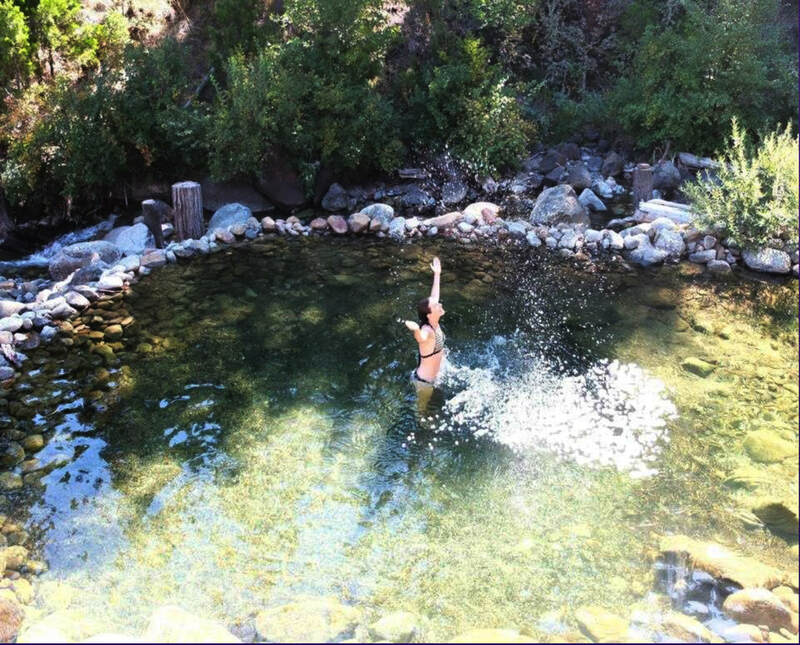 The thermal waters of Stewart Mineral Springs will be a welcoming cleanse and release. 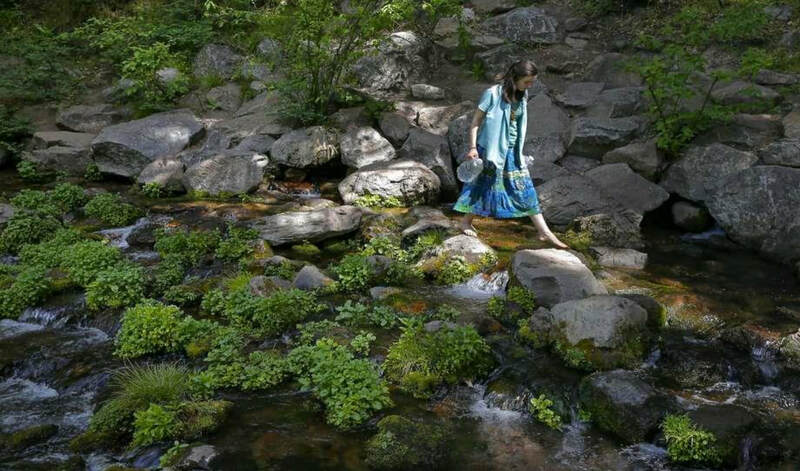 Lyra will share her wisdom of connecting the thermal waters of Ojo Caliente, New Mexico with the waters of Mount Shasta at Stewart Mineral Springs. Realizing all sources are connected, we invite each one to bring source waters from their local areas for ceremony. Individual sessions are available with Veronica and Lyra. An ascending hike in quietude to a pristine meadow filled with elemental, faery magic and more. We will be grounding our relationships and connections with each other, spirit guides, great spirit and great mystery. This lake is a beautiful and powerful portal to the mountain. The crystal grids have been guarded here by Telos since the fall of Atlantis. Lyra will facilitate instructions with mudras called Geomatrix. During the golden ages of Lemuria and Atlantis these alignments assisted in anchoring the non-physical with the physical. These 8 positions are like tuning forks to resonate with the Light Body. These movements and positions are a GEM gifted and taught by Aronk* from Atlantis. Individual sessions with Veronica and Lyra will be available. 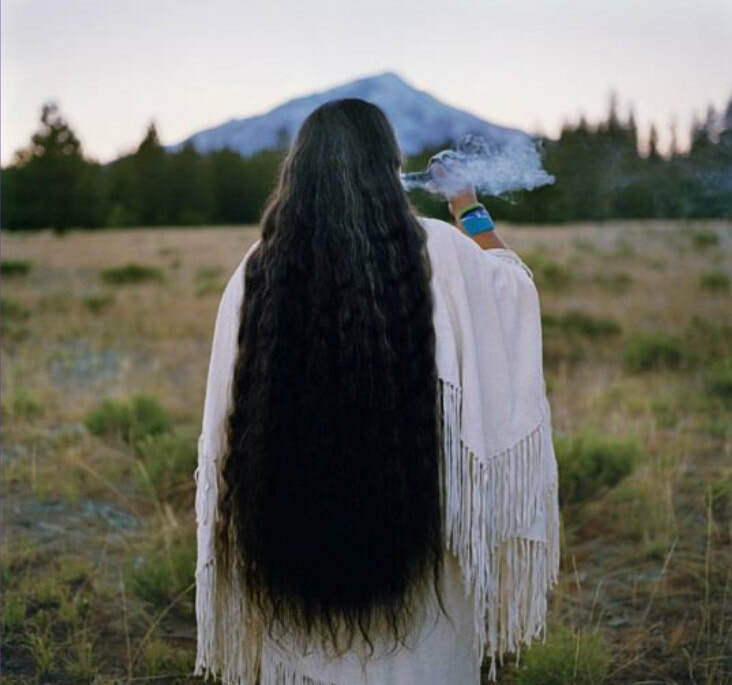 At sunset, we will be sharing an awake AWE*BE walk with Danielle Light at Shasta Spirit. In the morning, we will journey to Pluto´s Cave to explore transformative experiences. In the early afternoon, we will enter into the medicine circles, the labyrinth, and the portal to Telos at Sand Flats. Our morning journey will be to Medicine Lake to renew our connection with Mother Earth. We will honor the medicine way to be stewards and responsible guardians, respecting all our relations. We will gather obsidian crystals special to this site for our vision quest. We will also create an altar for prayers and gifts to all beings. 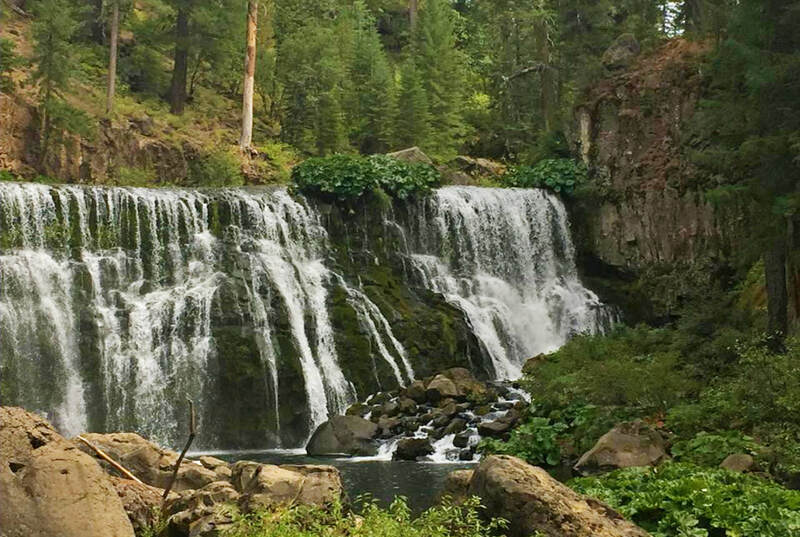 We will continue our visionary journey to celebrate abundance at McCloud Falls. Its powerful electromagnetic energies, may remind us to walk a path of unlimited abundance and flow with grace and ease. A ho! We will come together as One, in our Closing Morning Circle to share our heart- felt experiences with each other and beloved Mount Shasta. We will then travel to San Francisco to share our last night together. Veronica de Aboitiz, founder of Gaia World ( www.gaiaworld.com.ar ) invites you to find your keys of peace, well-being and wisdom within. Her journey began at 18 when she realized there was a much larger state of consciousness then the one she was in...a series of powerful synchronicities lead her to spend four months at a Buddhist Monastary in Bodh Gaya, India, studying Vipassana, Zen and Tibetan meditation. She received her Bachelor of Arts at Wesleyan University, CT majoring in Comparative Studies of Religions. She studied her major in Contemplative Psychotherapy at Naropa University. 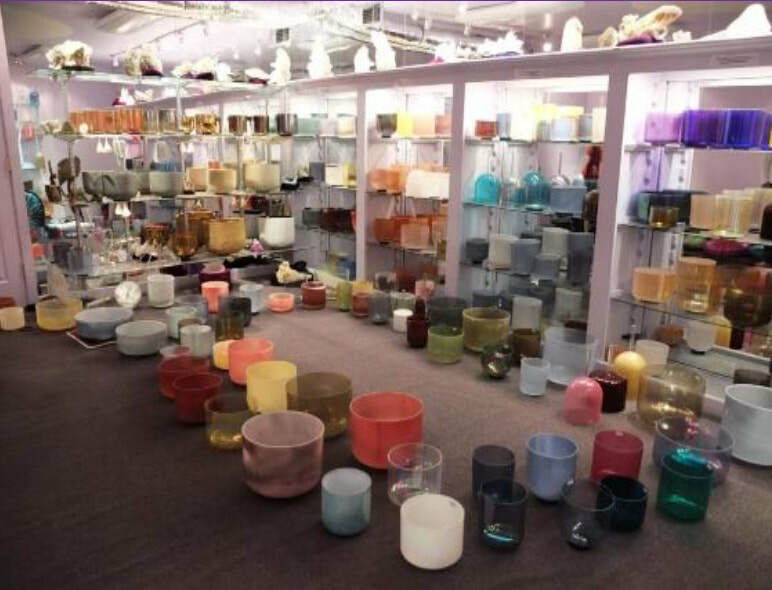 After receiving her third initiation in Reiki in New York City, vibrational sounds began to emerge opening doorways to subtle spaces integrating the alchemy of rejuvenation and healing. Here, she met Lyra, one of her main guides, (www.livingshaman.com) accompanying her to many sacred ceremonies around our Mother Earth: Argentina, Peru, Mexico, Mt. Shasta, and Brazil. After living for some time with the Navajos in Arizona, the precious red lands taught her ancestral songs to help transcend the cognitive mind to enter the “mind-out-of-time” space within us all. 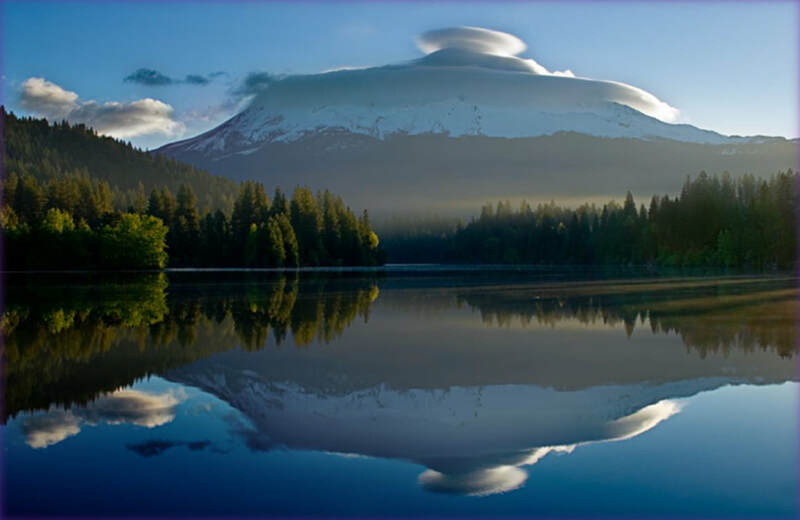 When she reached Mount Shasta, she finally felt she had found home on this planet. Here, she learned how to balance the emotional body and feel the whispers of silence. Two encounters with the portal of death, lead her to viscerally understand that ones ´guides are ALWAYS there. 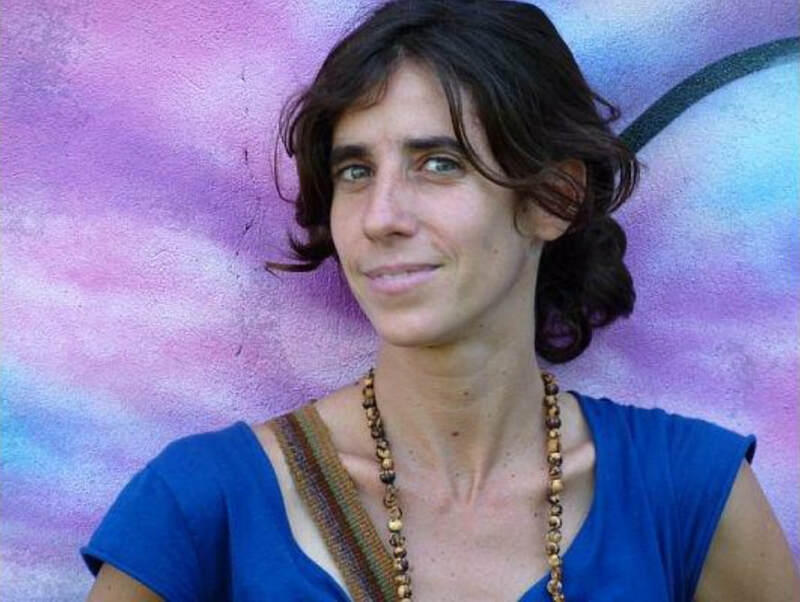 At 33, she was called to celebrate her birthday with the gentle, dolphins in Northern Brazil. Her dolphin school had begun. For the past 7 years she has hosted retreats swimming and meditating with these wise and gentle beings. 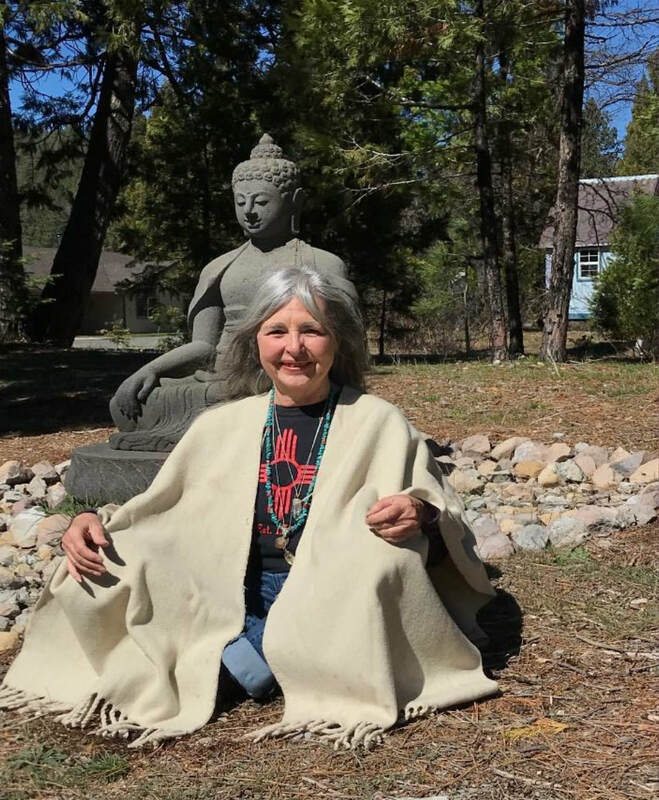 For ten years she has accompanied people to energetic vortices, opening circles of connection and hosting retreats in different parts of the world. Lyra is a contemporary visionary who was called into service in 1990. Her Spiritual Teachers of non-physical realms, guided and disciplined her “to follow in the footsteps of no other”. This challenge and commitment to serve Mother Earth, Father Sky propelled her expansive work to the “cutting edge.” Her first mission to Bimini/Bermuda Triangle vortex, initiated and reflected to her far-reaching powers and mystery. This set the tone for expeditions with Spirit that followed over the years. Worldwide tours included Mexico, Greece, Egypt, Peru, Argentina, Hawaii, North America and other sites. She was requested to be useful as an activation rod to re-install specific Galactic frequencies as a Crystal Grid Engineer. This intention was for earth and humanity to become aware of new choices and potentials in alignment with ascension shift. Gaia sent forth a "call" for help years ago. Lyra also worked intimately with mountains such as Rainier, Shasta, Denali, Mona Loa, Kilauea, Popocatépetl, and others. She was guided to create sacred ceremony that was inspired by the communication with each mountain / or vortex site. Each step in her initiation demanded surrender, to raise her vibratory awareness. The Mystery and Light of this activation work has become the wellspring of her sharing for conscious advancement. Lyra has been useful as a way shower co-creating the crystal grid with Earth & Sky for decades. In 2016 she responded to a call to return to Mt. Shasta, Mt. Rainier and Mt. Denali for quite an expanded and in-depth connectivity with the mountain devas, higher non-physical frequencies, crystal grids, dragons and middle earth kingdoms including Telos. She was returning from this extensive mission back to New Mexico; when she decided to rest for two days with her beloved Mt. Shasta and Telos. 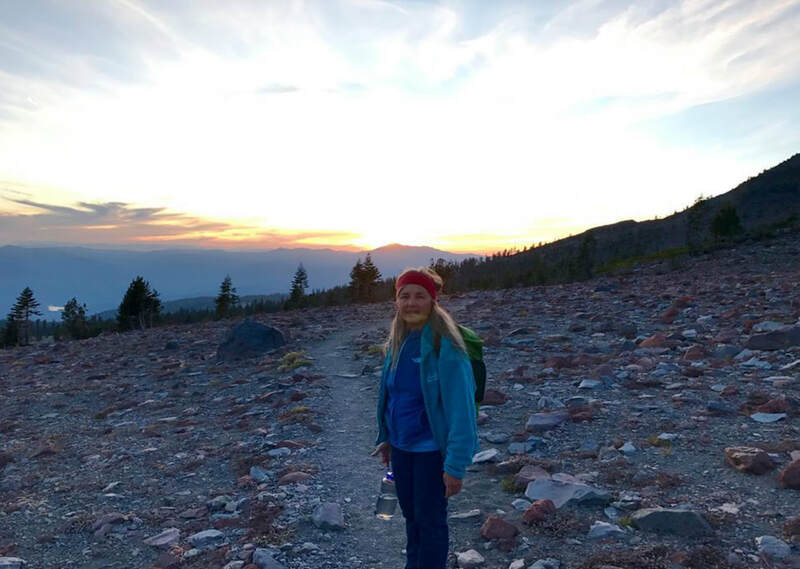 Both embraced her and now she calls Mount Shasta her home. She continues to align with the earth-gate and star-gate of Mount Shasta to respond as a gate keeper and crystal grid light worker. Lyra shares her wisdom, love and connectivity in unique and often unexpected ways. The “moment” is her clarity, freshness and guidance. 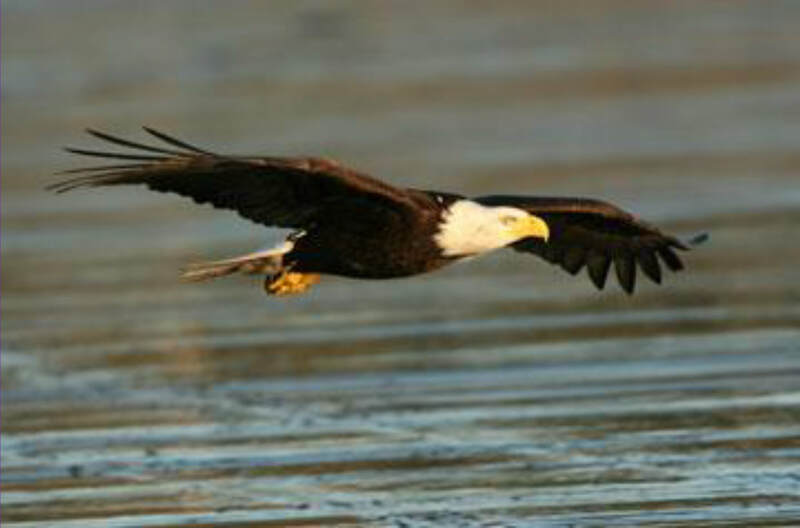 THIS JOURNEY INCLUDES: - Lodging in a double room for 11 nights/12 days. - Van Rental to and from San Fran, as well as all the trips mentioned in the package. - Visit to Mt. Shasta Pyramid and Stewart Mineral Springs. - Activities mentioned in the package. - Individual Session with Vero. THIS JOURNEY DOES NOT INCLUDE: - Personal costs, such as food, drink, laundry, etc… - The chalets at the Mount Shasta Resort have a kitchen as well as a very accessible restaurant at the Resort. - Airplane Ticket, but we can help you find the most economic tickets available online. All main credit cards are accepted: MasterCard, American Express, Discovery and Visa and Paypal. A 5% cost will be added to credit card and Paypal payments to cover bank costs. The journey can be paid in installments once the $500us reservation fee is confirmed. This itinerary is held to modifications depending on the climate and the group’s energy/ flow. When paying the deposit, you will confirm your place. Final payments for this journey must be completed by July 28, 2018. Please do not hesitate to contact us with any doubts or questions at: ourworldgaia@gmail.com. Inquire about pricing for locals.